With the Al Halabi Lounge decked out to resemble a dreamy Bollywood film set, Diani Lee’s surprise birthday party was an endless parade of colours celebrated with her sisters Dianna Lee and Datin Dian Lee, and parents Tan Sri Lee Kim Yew and Puan Sri Tan Bee Hong. Star-studded guests like Berjaya Assets Berhad executive director Chryseis Tan, Malaysian equestrian Qabil Ambak and others donned their sparkling traditional Indian outfits for the occasion. Smiles and heart-felt cheers met Tan Sri Lee Kim Yew who lovingly broke out into a birthday song for his youngest daughter. Diani’s mother, Puan Sri Tan Bee Hong won Best Dressed for ladies while Qabil Ambak won best dressed for men. 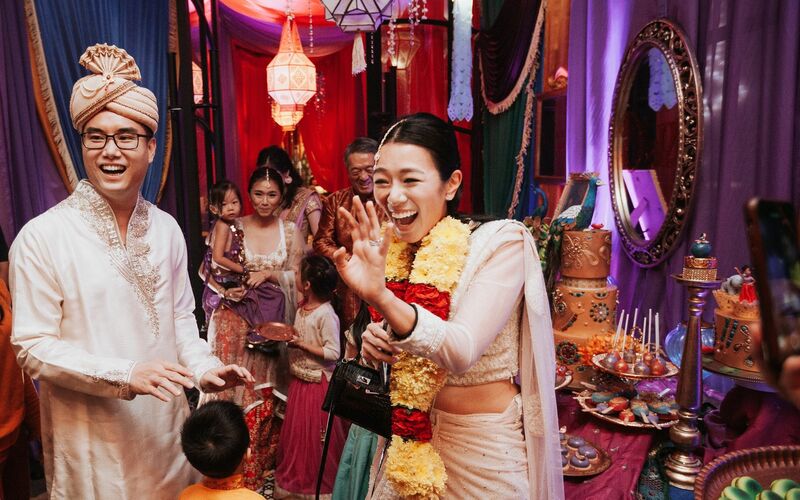 The 'Night In Bollywood' theme was the idea of Diani’s husband, Law Wai Cheong, having observed her love for Bollywood culture after attending his best friend’s similarly-themed wedding years before.